A member of the Gay and Lesbian Alliance Against Defamation's national board died Saturday in Puerto Vallarta, Mexico, during an Atlantis Events cruise vacation. 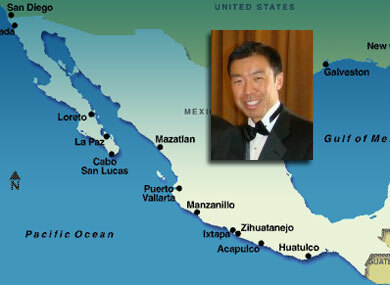 According to sources on board, Spencer Yu, a Los Angeles attorney, suffered cardiac arrest October 21 while on the Royal Caribbean Mariner of the Seas, which was chartered by Atlantis for a seven-day trip along the Mexican Riviera. A medical team attempted to resuscitate Yu for 45 minutes before he was taken to a Puerto Vallarta hospital, where he showed no brain activity. Yu was later taken off of life support. Royal Caribbean representatives could not be reached for comment as of press time. A member of the GLAAD national board of directors since 2006, Yu, 40, was a vice president of business and legal affairs for Warner Bros. and a graduate of University of Texas School of Law. He served as cochair of the GLAAD Media Awards in Los Angeles for the past two years and was scheduled to cohost again in 2010. “Spencer was tirelessly optimistic and brought a ray of sunshine to everyone at GLAAD,” said GLAAD president Jarrett Barrios. Warner Bros. issued the following statement to The Advocate: "It is with the deepest sadness that I share with you the news of Spencer Yu's passing. Spencer passed away on Saturday, October 24th with his family at his side. Our sincerest condolences go out to Spencer's family, friends and loved ones. Spencer joined the Company nine years ago originally in the WB Online group and we were fortunate when he joined our group in CBDS in 2003. Spencer played a vital role for Warner Bros. in managing complex transactions as an expert lawyer. He was a valued friend, trusted colleague and exceptional lawyer who could always be counted on to do the 'right thing.' He will long be remembered and greatly missed." According to Barrios, Yu’s surviving partner, Dan Neisen, has asked that donations be made to GLAAD’s Spencer Yu Memorial Fund in lieu of flowers (donations can be made here). A private memorial service is scheduled for Friday in Los Angeles. Editor’s Note: The comments feature for this story was taken down because of the number of people making allegations about this case that have not been reported and have not been proven. The Advocate is, however, continuing reporting on this story and will update it as new information comes available.